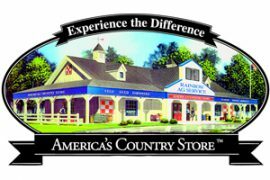 All Clothing, Boots, Gifts and Jewelry! Print it out, or show us on your phone! No Limit. Of equal or lesser value. Cannot be combined with any other offer. Excludes 13mwz, 936den, J162, B216 and sale items. 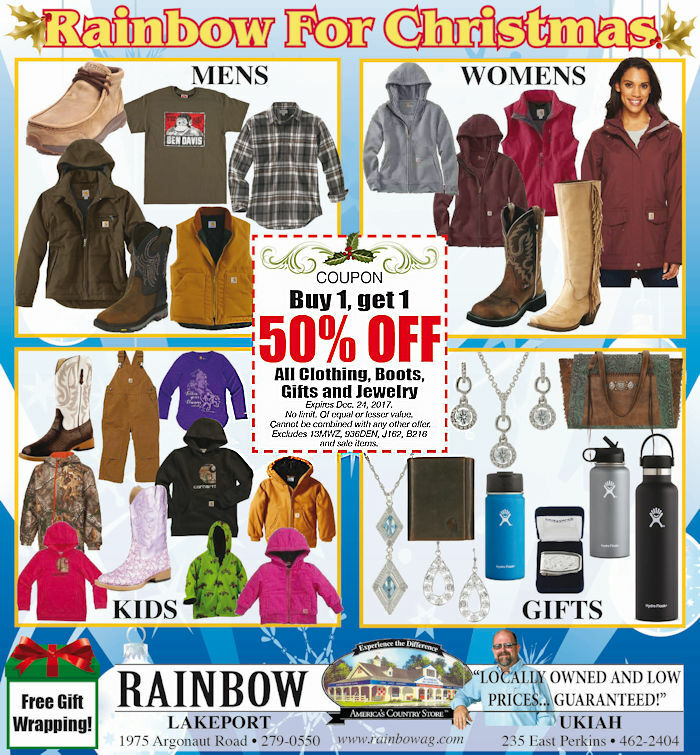 Rainbow will be open Christmas Eve, December 24th, until 3 PM. This entry was posted on Wednesday, December 20th, 2017 at 2:13 pm	and is filed under News, On The Right Lead Newsletter, Rainbow Wags Newsletter. You can follow any responses to this entry through the RSS 2.0 feed. Both comments and pings are currently closed.